The U.S. started withdrawing from Syria Thursday, but a military spokesman would not say how long the pullout will take. BAGHDAD, Iraq — After days of conflicting statements about a timeline for U.S. President Donald Trump's decision to pull out American troops from Syria, a U.S. defense official said Friday the withdrawal process has begun with some military cargo pulled out. The official said the movement of equipment is part of what the military calls the start of a "deliberate withdrawal" from Syria, where some 2,000 troops have been working with a coalition for Syrian Kurdish and Arab fighters to defeat the remnants of the Islamic State group. Hours earlier, Col. Sean Ryan, spokesman for the U.S.-led coalition fighting the Islamic State group, said "the process of our deliberate withdrawal from Syria" has started. He said the U.S. will not discuss a specific timeline, locations or troop movements out of concern for operational security. Confirmation of the first withdrawals comes amid confusion over plans to implement Trump's pullout order and threats from Turkey to attack Kurdish fighters, who have been America's partners on the ground in the war against the Islamic State group in Syria. 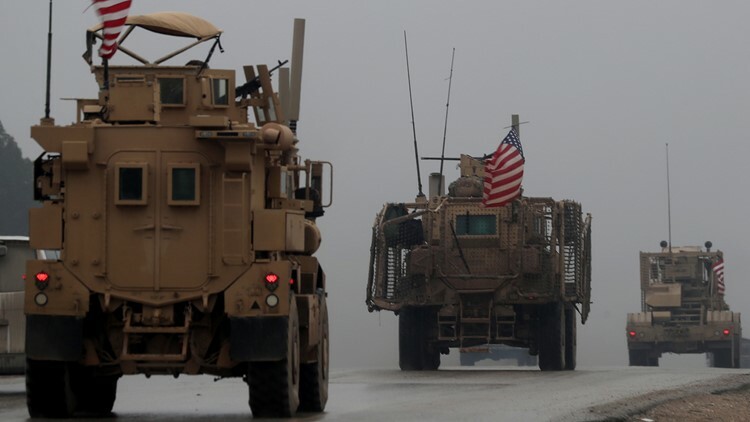 Earlier this week, the U.S. national security adviser John Bolton said American troops will not leave northeastern Syria until IS is defeated and American-allied Kurdish fighters are protected, signaling a slowdown in Trump's initial order for a rapid withdrawal. On an unannounced visit to troops stationed near the Syrian border Friday morning, Turkey's defense minister Hulusi Akar reiterated Ankara is "determined" to fight Kurdish militias it considers terrorists and said military preparations were ongoing. "When the time and place comes, the terrorists here will also be buried in the ditches and trenches they have dug," the minister said in southern Sanliurfa province. He spoke before the announcement on the U.S. withdrawal and did not address it.